Yesterday Emery asked to "take pictures with Spinosaurus". I grabbed my camera thinking we were just going to snap a few, he would look at them on the back of the camera and that would be it (he has grown quite tired of me taking his picture!). 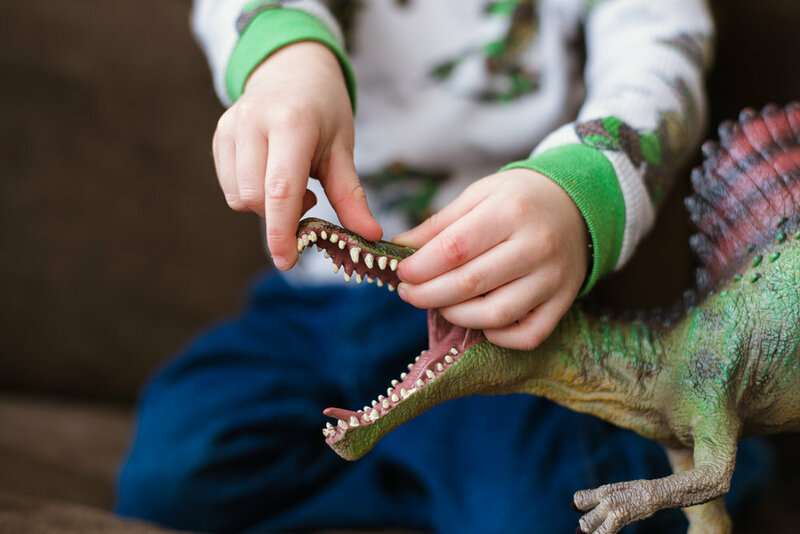 A few pictures of Spinosaurus turned into a mini photoshoot entirely directed by a two-year-old. It was perfect! When I was editing these pictures last night I was reminded of the wonder of childhood. 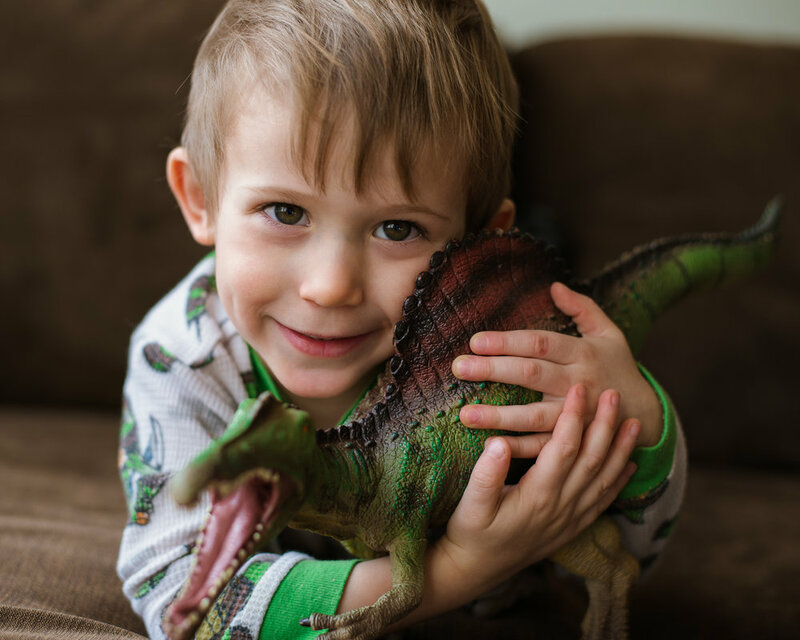 To me Spinosaueus is just another toy littering the living room floor, but to Emery he is a listening ear on a long car ride, a bubble blowing partner and a friend to hug to sleep at night. Sometimes we need to be reminded to slowdown and enjoy the simple wonders that are all around us. For me photography has always been a way with which to tell a story. 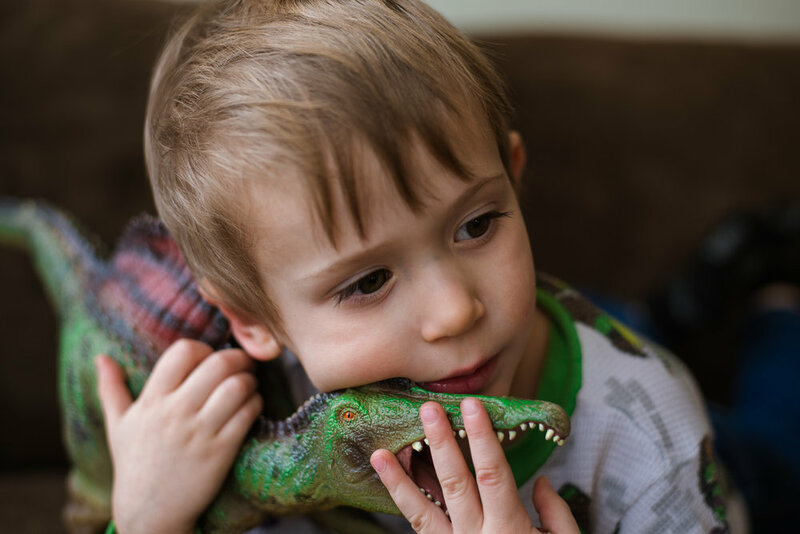 This is a story of a little boy and his love for a rubbery, prehistoric creature.